Police in Manchester have re-opened a murder inquiry 25 years after a Scottish man was jailed in a high-profile miscarriage of justice. 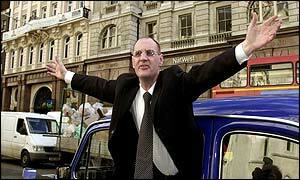 Robert Brown, from Glasgow, was released in November 2002 after serving 25 years for the murder of Annie Walsh. The 45-year-old from Drumchapel, Glasgow, had always claimed he had been bullied into a confession. Ms Walsh, a spinster, was found battered to death in her flat in Hulme, Manchester in 1977. Mr Brown was convicted of battering her to death at Manchester Crown Court in October of that year. He was sentenced to life imprisonment and had an application for leave to appeal against conviction refused by the Court of Appeal in 1978. Mr Brown would have been eligible for parole 10 years ago if he had admitted the offence. But the 45-year-old refused, saying it was more important for him to clear his name for his sake and that of his ill 75-year-old mother. He told BBC News Online: "I'm absolutely delighted that the investigation is being reopened. Annie Walsh: "Still a victim to this day"
"But I firmly believe that the only way the truth will come out about what happened to Annie Walsh is through an independent inquiry. "This is not just about Robert Brown - Annie Walsh is still a victim to this day. "I'm doing this for my family and for her family." The Appeal Judges said in November that Mr Brown's conviction was unsafe as new evidence made it unlikely that a jury would have convicted him had they been aware of it. A Greater Manchester Police spokesperson said the force had re-opened the investigation "following careful consideration of the issues raised in the Court of Appeal". An incident room has been set up and the inquiry will be headed by Detective Superintendent Peter Minshall. A separate investigation is being carried out by West Yorkshire Police into the Court of Appeal's findings. "Mr Brown's release provoked more questions about Annie Walsh's death"